Brandon Andress is the author of Beauty in the Wreckage: Finding Peace in the Age of Outrage, AND THEN THE END WILL COME!, Unearthed: How Discovering the Kingdom of God Will Transform the Church and Change the World. He lives in Columbus, Indiana and earned his MBA from Indiana Wesleyan University and his BA in Psychology from Hanover College. He loves the outdoors, hiking, camping, & traveling. 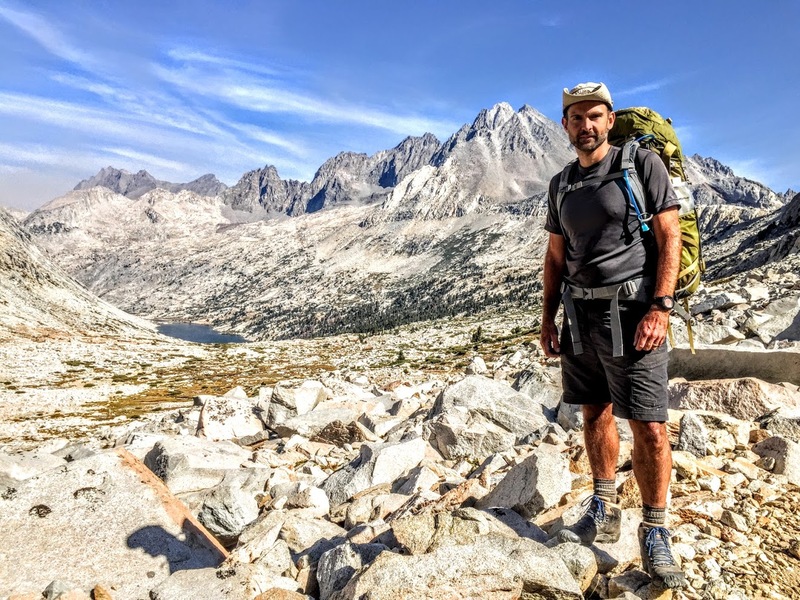 I just read your article on how you secured a permit for the JMT hike from Bishop Pass with an exit at Whitney Portal. This is the hike a friend and I are planning to do July of 2017, and I had concluded how near impossible it will be to secure the permit entering on our desired date with the requirement to submit the permit based on the Whitney exit date. How amazing applicable and full of must have information is your article. I will be using it. I really, really appreciate your note. I was debating as to whether I want to continue the site or not… and your message definitely helps with the decision. Thanks for using the info and if you need anything for your planning just leave another comment and I will be happy to help! Your info definitely helped me. The way they have this setup, it is virtually impossible to get both the required entry and exit trailheads being you can’t reserve Whitney Portal until the exit date. That is just insane. I will be using your method in hopes of obtaining the needed permit. Last year I learned just how quick the permits go for JMT trailheads by monitoring the Inyo website…just as you did. I too had done homework and was able to figure out how to be successful at getting a permit. However, this Whitney scenario presented a very different and more difficult problem. One you seem to have figured out. Very few people will ever need the solution, but it’s a good one for those few. Brandon: I just found your blog and love it! I’m in Bloomington and getting ready to hit the Tonahutu Trail/North Inlet in July with my daughter. Even though we will be traveling in the opposite direction, I’ve found some valuable information on your blog. I have no doubt I’ll be reading more of your trail blogs as we continue to add more trails to our travels. I just got finished reading your trip report of the Eacalante Route in Grand Canyon. I really enjoyed your pictures and descriptions. I’ve hiked in the canyon once before and really want to tackle this itinerary next year. On sites that I’ve read about the escalante route, people often note the number of trail options there are and some talk of having to backtrack because of following cairns that lead them the wrong direction. Did you find it easy to navigate, and was there a specific source for info that helped you prepare for this trail? Thanks for reading and for the comment. We had some of the waypoints before the trip, but just followed cairns the entire way. To be honest, there may have only been one point where we had a question, but the rest of the route was very easy to follow. In fact, a path is visible almost the entire way. I hope that helps! Would it be possible to have a copy of your cosley lake beach photo. We lost ours and it’s a very very special spot for us….where our love began….my email is Chrystalshauser@gmail.com if it would be possible to have the original .